I fished out the ol' madeleine pan and whipped up two types of madeleines for a family birthday party this weekend. I made the delicious lemon madeleines that I've made many times before and I tried out a new type as well. For the lemon madeleine recipe - click here. 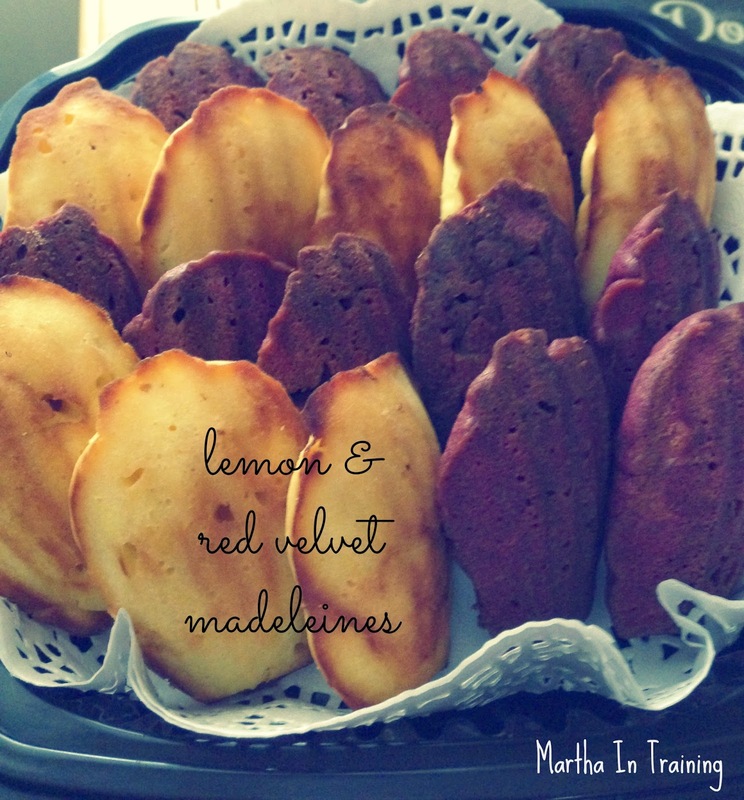 For the red velvet madeleine recipe, see below! Fill madeleine pan and bake for 7-8 minutes. Allow to cool then dust with powdered sugar.